Comparing Sunshine Hours and Max Annual Temperature in the UK. Willis Eschenbach had a guest posting over at WUWT in which he claimed that LWIR could heat Earth’s oceans. Myself and several others on the thread contended that this LWIR was likely to be stopped by the evaporative skin layer and would not slow the exit of heat from the oceans. Numerous requests for empirical evidence to support Willis’s claim only resulted in one inapplicable study used by the “Hockey Team” to support such claims. After several hundred comments without empirical evidence being offered, I gave up reading and designed and conducted an empirical experiment that shows that any effect of backscattered LWIR on the cooling rate of water would be negligible. This is a quick pointer to news about the CERN CLOUD experiment. Others have more time to do the topic justice. As some others are saying, don’t go assuming too much just yet. A good thread on WUWT containing many pointers to elsewhere. A previous post was about UAH lower troposphere and polar temperatures, so it is logical to look at Hadcrut3 in the same way. A minor fuss has errupted over ERA40 reanalysis data at Arctic latitudes so I thought it would be useful to post how I see some of the data. 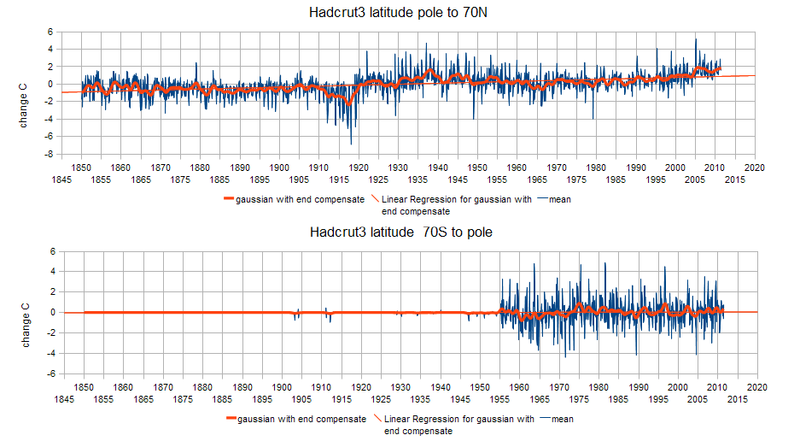 This pair of plots were produced here from gridded data for circles +70 latitude to the poles. 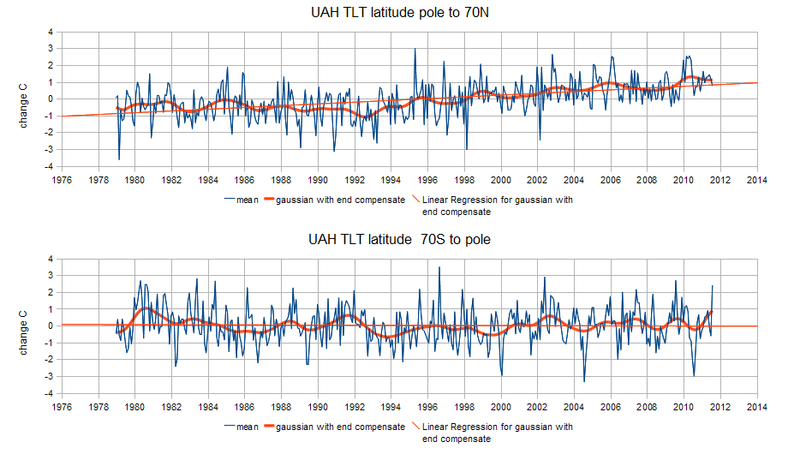 UAH data does provide what seems reasonable data. Data to July 2011. I have plotted scaled square root ssn with the Sheet data. This suggests solar cycle 24 is already approaching maximum, the Sheet data nearing 70 degrees tilt. the mass of the central body. Note that for all ellipses with a given semi-major axis the orbital period is the same, regardless of eccentricity. When the Sun was young the ‘solar wind’ was much stronger than it is now. 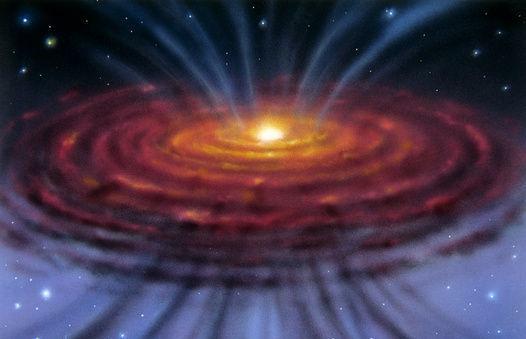 So strong that it added large amounts of matter to the proto-planets orbiting it. The loss of such substantial amounts of material from the Sun reduced it’s angular momentum, and increased that of the planets. This created a ‘spin-orbit coupling’ between the Sun and its orbiting planets determining the eventual spin rate of the Sun and the mass and orbital distances of the planets. The strong solar wind pushed the planets out to the distances where the attraction of gravity overcame the strength of the radiant emission from the Sun. August 5th is launch day for a new NASA probe; Juno. Juno will achieve mission science goals with a spinning, solar-powered spacecraft that’ll go into a unique polar orbit around Jupiter, one whose perijove – or closest point to Jupiter – is extremely close. From this close vantage point on the largest planet in our solar system, scientists will conduct two key experiments designed to understand Jupiter’s origin. Bolton said that what scientists want to know is how much water lies inside Jupiter, and to get that they’ll measure the abundance of oxygen they find. Oxygen is the third most abundant element in the universe and in the sun. So it’s a big missing piece if we don’t understand it. The second experiment will determine whether Jupiter has a core of heavy elements at the center, or whether it’s just gas all the way down. 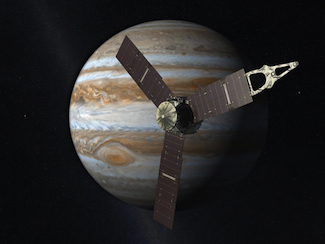 “So Juno’s prepared to constrain those questions and provide the answers so that we can discriminate among models of how Jupiter formed and what the history of our early solar system was,” said Bolton. 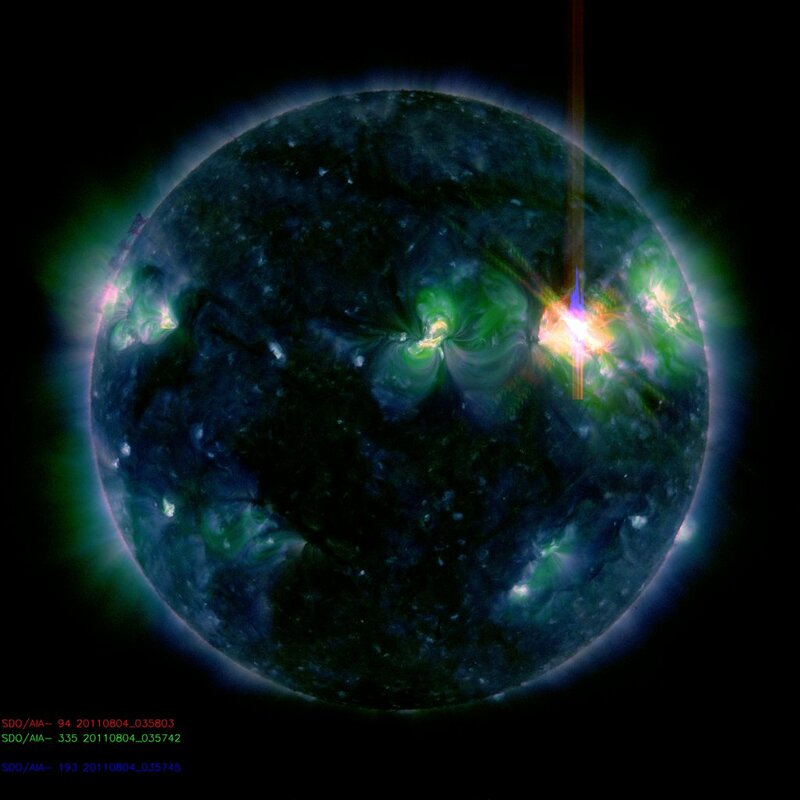 Hemispheric sunspot lead/lag, Zolotova et al. 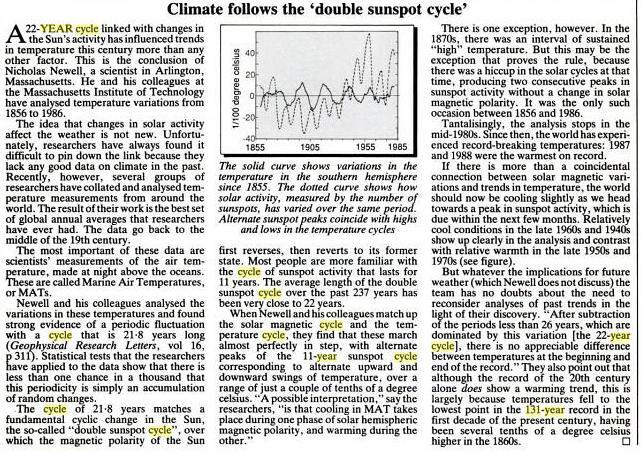 We investigate the phase difference of the sunspot cycles in the two hemispheres and compare it with the latitudinal sunspot distribution. If the north-south phase difference exhibits a long-term tendency, it should not be regarded as a stochastic phenomenon. 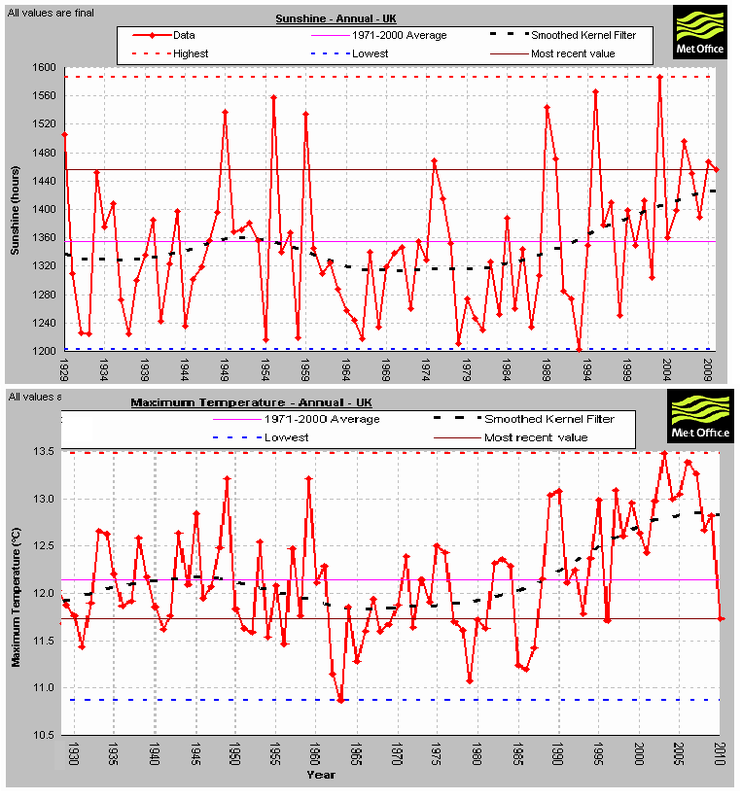 We use datasets of historical sunspot records and drawings made by Staudacher, Hamilton, Gimingham, Carrington, Spörer, and Greenwich observers, as well as the sunspot activity during the Maunder minimum reconstructed by Ribes and Nesme-Ribes. We employ cross-recurrence plots to analyse north-south phase differences. We show that during the last 300 years, the persistence of phase-leading in one of the hemispheres exhibits a secular variation. 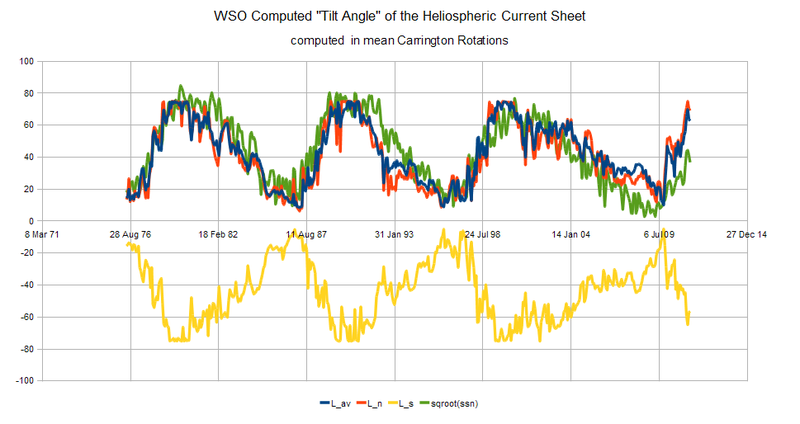 Changes from one hemisphere to the other leading in phase were registered near 1928 and 1968 as well as two historical ones near 1783 and 1875. 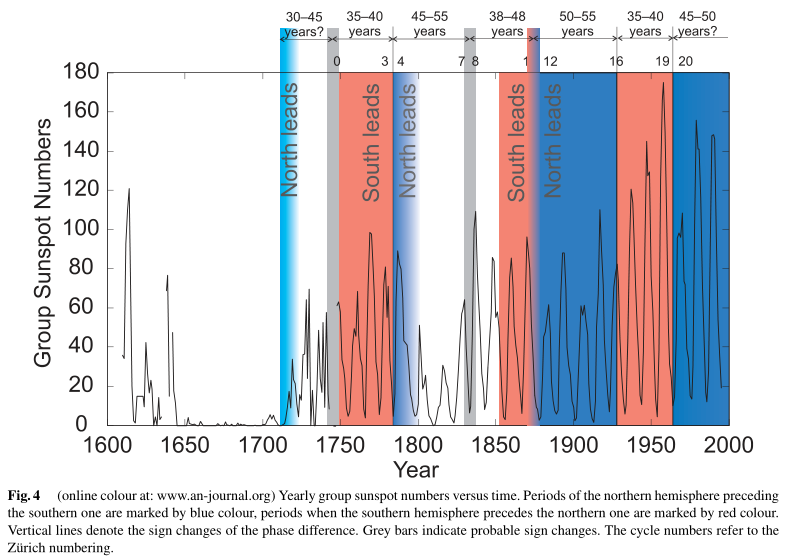 A long-term anticorrelation between the hemispheric phase differences in the sunspot cycles and the latitudinal distribution of sunspots was traced since 1750. Newton’s laws are universal, it doesn’t matter if the stuff is in bulk or is just an atom. To obtain the gravity from a piece [or effect] of bulk matter you just sum over the constituents. “BTW, I don’t think you know what ‘elastic’ means. Since the Sun is a gas, when you remove any stress it will revert to its original spherical shape, so it is perfectly elastic.